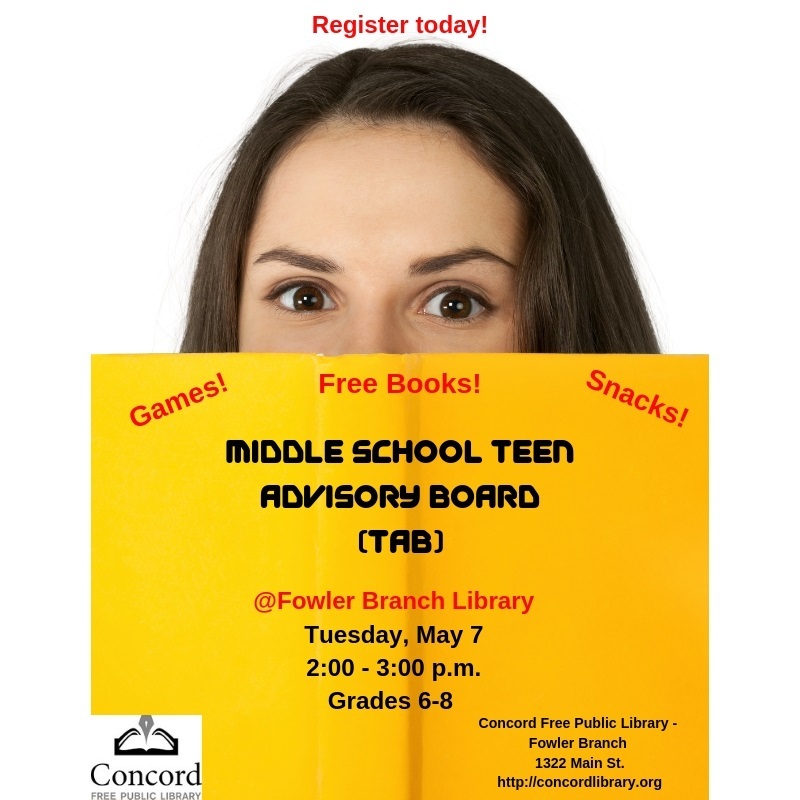 Grades 8-12. What do you GEEK? Comics, graphic novels, or RPGs? Anime, manga, music, or movies? TV shows or silly YouTube clips? 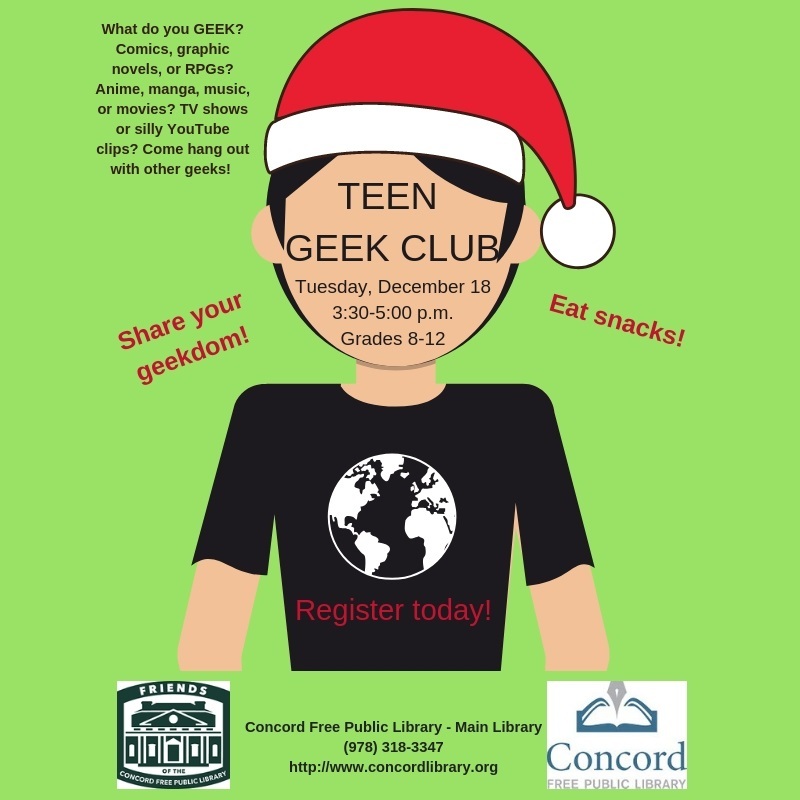 Come hang out with other geeks! We will do a different geeky activity every month. You are welcome to bring your own video games or card games. 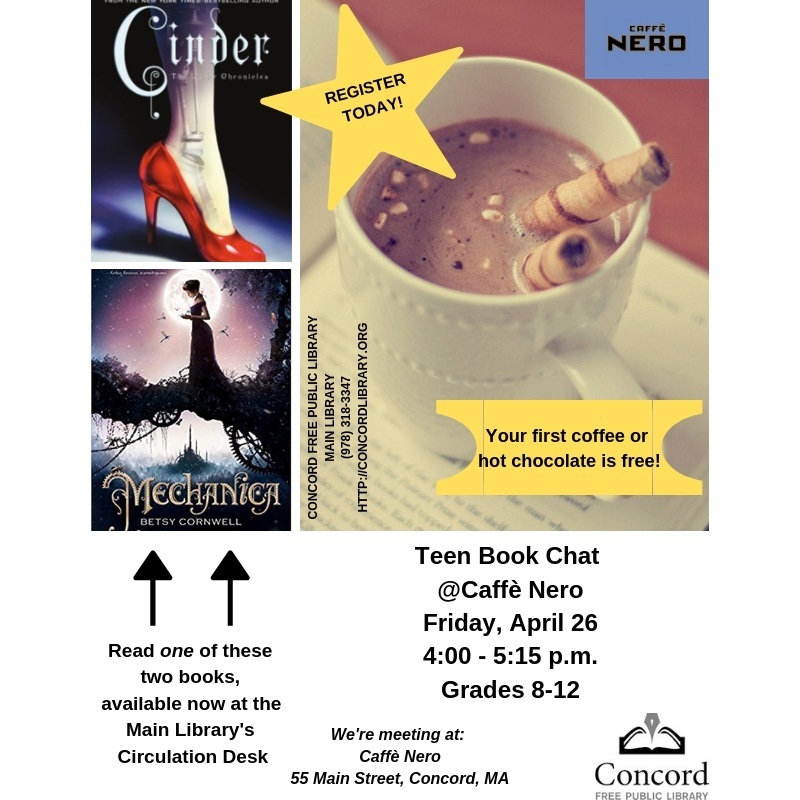 Snacks will be provided. 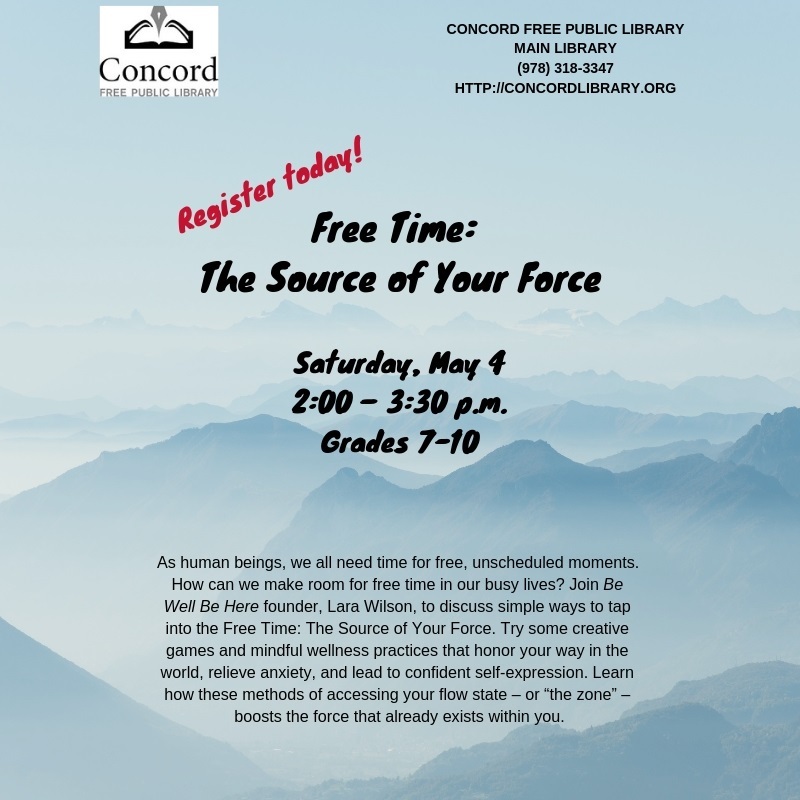 Visit www.concordlibrary.org to register.